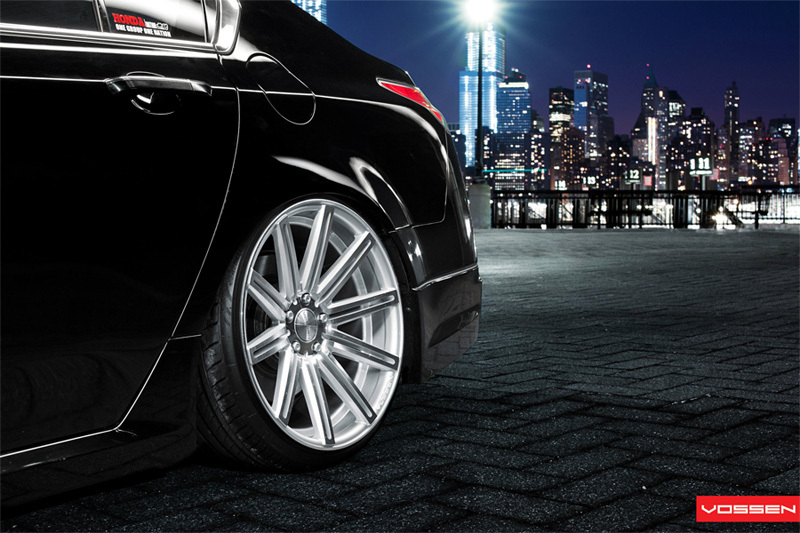 A recent shoot from Vossen Wheels puts a 4G Acura TL in front of a gorgeous view of Manhattan’s city skyline lit up at night. The featured Crystal Black Pearl TL sits on Vossen’s Silver Polished VVS-CV4 Wheels – F: 20×10.5 / R: 20×10.5. Enjoy the images in the gallery above or visit vossenwheels.com for super high-res images.